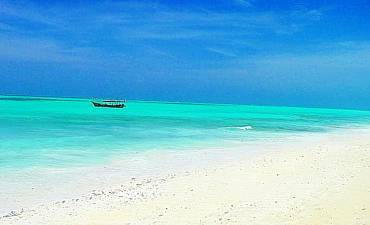 22 September 2016 | Published By AfricanMecca Safaris | Blog Categories: Tanzania. 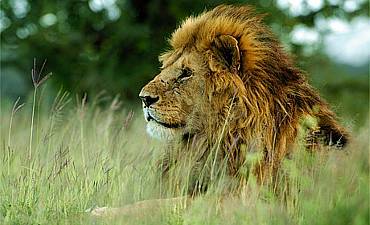 Asilia has proved that tourism and conservation in Tanzania can go hand in hand. 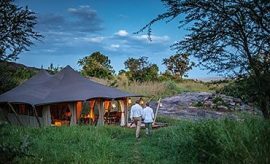 Welcoming guests to their wilderness camps while introducing them to its fair trade treasures is the perfect revolutionary model for sustainable tourism that can bring about significant changes in the world of travel. The locals benefit from the earnings of the camps and lodges while at the same time, they can preserve their culture and earn a livelihood from working in the various accommodations. Together, they can protect the natural environment for future generations while ensuring economic growth of the country. 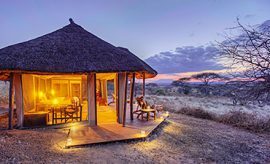 In recognition of the model adopted by Asilia and understanding its immense potential, the Fair Trade Tourism, in agreement with Responsible Tourism Tanzania or RTTZ has included the eight top-class Asilia camps into its Serengeti and Tarangire portfolio. They are Ubuntu, Olakira, Kimondo, Dunia, Namiri, Little Oliver’s, Oliver’s and Sayari. They have earned Asilia the distinction of being the first Tanzanian company to receive this privilege. As the organization’s Managing Director, Nivashnee Naidoo reveals, Fair Trade Tourism is working in collaboration with several partnering institutions like the RTTZ all across Africa. 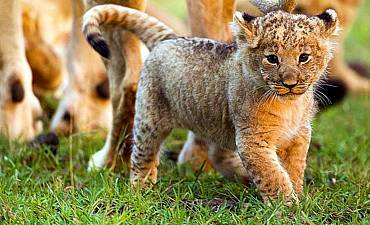 It offers them the opportunity to access global markets, connecting them to various recognized safari supplier companies, and its Fair Trade Holiday tours. At least half the stays that guests and tourists spend in the country are at accommodations that are certified by the organization. Asilia will now become a part of these Fair Trade safari offerings. 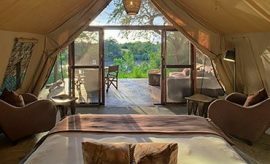 To date, Asilia has achieved the Tree Level of the RTTZ with its camps working to ensure that their day-to-day activities and work ethos comply with the sustainable tourism model. 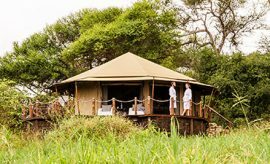 The management also ensures that the camps in Tanzania are run in a responsible way with careful respect for the delicate ecosystems where they operate. Pains are taken to ensure that the employees understand the triple bottom line approach with regular supervision and constant direction. Asilia’s integration with the Fair Trade Tourism is being hailed by the RTTZ. Its Director, Damian Bell, also the Director of Corporate and Social Responsibilities at Asilia and Executive Director at Honeyguide Foundation, talks about how the new collaboration can work to advance the efforts of the RTTZ in providing the vital support and encouragement needed to promote the commercial and financial aspect of the Tanzanian tourism sector. Bell has embraced Asilia on the integration while going on to talk about how Asilia can draw international attention to their work. 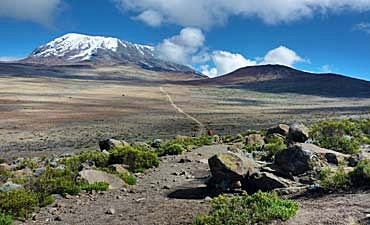 Moreover, RTTZ also recognizes that Tanzanian tourism is only in its infant stage, having a long way to go. The GIIRS, acronym for Global Impact Investing Rating System has awarded the five-star rating to Asilia with a Platinum level grading for its inspiring system of operations. These systems can prove to be a nurturing influence and role model for peer companies encouraging them onwards towards sustainable tourism. 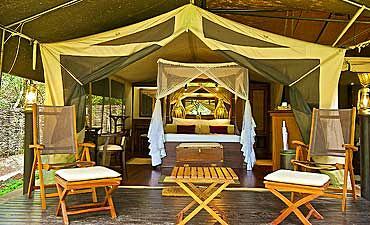 An African safari camp supplier, Asilia is the sole awardee of this prestigious accolade. 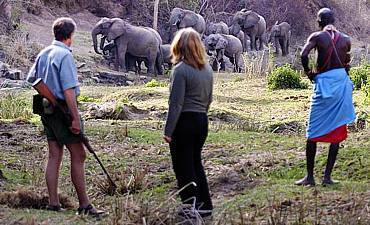 Since its opening in 2005, Sayari Camp became a deterrent for poaching activities in the area. Its establishment provided a channel for the institution of conservation practices with the villagers opting to work in the camp as opposed to relying on hunting to make a living. 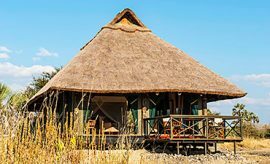 Originally, a seasonal accommodation, Sayari Camp in Serengeti made a life-changing decision to establish a permanent base in the pristine environs of the northern Serengeti locale. With a readily available, sustainable source of livelihood in Sayari Camp, the communities living on the park boundaries are today much more secure with poaching now becoming a rare occurrence. 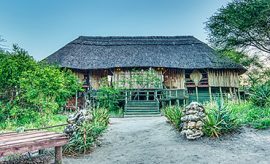 Acclaimed by the Responsible Tourism Tanzania and Fair Trade Tourism, both Oliver’s Camp and Little Oliver’s Camp in Tarangire seeks to minimize their carbon footprint by recycling harvested rainwater and all the waste generated by the camp’s operations. They also strive to balance out the burning of fossil fuels for energy by undertaking afforestation programs. For its efforts, the camp has attained certification through the STEP, acronym for Sustainable Travel International‘s Sustainable Travel Eco-certification Program. Guest visits help in the sustenance of the Northern Tanzania Rangelands Initiative. This organization helps in the overseeing and conservation of the more than three million hectares of land where wildlife thrives. 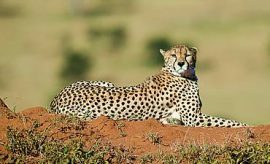 In an attempt to protect the cheetah population in the locale, the Frankfurt Zoological Society and TANAPA (Tanzania National Parks Authority) opted to section off the area as a conservation site. However, 20 years later, they realized that having tourism footfall on the eastern periphery of the Serengeti would contribute to the preservation efforts by deterring poaching. 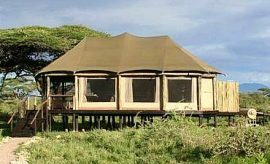 Namiri Plains Camp in eastern Serengeti was a result of their decision to allow a low-impact safari accommodation. 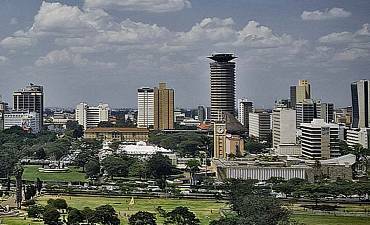 Tourism has brought in the much-needed finance for developing the local communities by offering support to schools and education for the local children. Villagers no longer need to resort to hunting to secure a livelihood instead depending on their earnings from working in the camp. 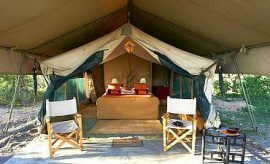 Recognized by the Fair Trade Tourism and Responsible Tourism Tanzania for its eco-friendly and responsible tourism approach to running mobile camp operations is the Dunia Camp in Central Serengeti. The campsite comprises of non-permanent structures that can be dismantled and removed without leaving any trace of its presence. The only footprints left behind may be rough trails that are taken over by the enduring Serengeti grass plains within a short while. Any adverse effects from the burning of fossil fuels are carefully balanced by planting more trees. The camp also assists local authorities in conserving and preventing poaching of black rhinos by relaying information of sightings. Kimondo Camp believes that a symbiotic relationship can exist between the local communities and natural habitat of the wildlife. They focus on providing a livelihood for the locals by offering guests the opportunity to mingle with the villagers. 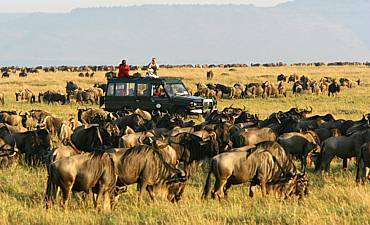 In-house tourists can spend time at the Kuria and Maasai Villages accessible from northern and southern Kimondo respectively. 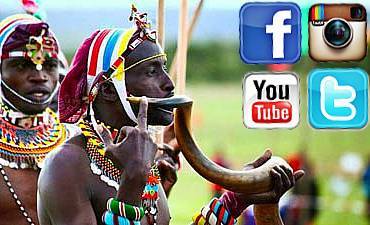 Here they can immerse themselves in the culture of East Africa perhaps, by taking part in the traditional music and dance forms while enjoying the warm, welcoming demeanor of their hosts. Kimondo is a mobile camp moving location twice a year to track the Great Wildebeest Migration in Serengeti (best time to see it). Valuably, each camp is set up without leaving any marks on the site save for a few uneven mud trails during the time of its seasonal closures. Olakira Camp is living proof of how educating and supporting local communities can in turn help in conservation efforts. The staff of the camp includes individuals like Amos Buhuru who took to poaching because of lack of alternate sources of livelihood. The Olakira Camp has provided a sustainable form of employment and earnings, effectively converting food hunters and poachers of the wildlife into their protectors. 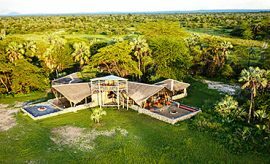 Like many other Asilia Camps operating along the philosophy of mitigating the carbon footprint, the camp is temporary in nature, moving to two different locations every year (north and south Serengeti) allowing it to rejuvenate in its absence. Ubuntu Camp offers local communities and villages a source of long-term income by obtaining their supply of fresh, naturally grown vegetables from the farms of the Merenga Village. This support helps the camp serve the best of organic produce to their guests at the same time providing an alternative to “doing bad things,” as conveyed by Juliana Myenjwa, a farmer who looks after her family of 8 kids. 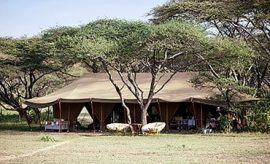 Yet another temporary camp, it moves to a new location three times each year including western Serengeti allowing the campsite to recover naturally from their presence while offering guests the opportunity to experience yet another fascinating facet of the Serengeti (best time to go). 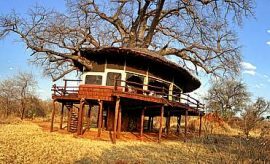 Contact AfricanMecca today to plan and book your safari to Fair Trade Camps in Eastern and Southern Africa.